Today I received a very disturbing email from Juvenile Diabetes Cure Alliance (JDCA). They recently did a survey to identify the main reasons people within the T1D community participate in diabetes fundraising walks. They found that the majority of people participate in fundraising walks to raise money to provide funding to find a cure. I understand that not all money raised by JDRF goes to funding to find a cure, but I really don’t understand how JDCA can continue to bash their companies! 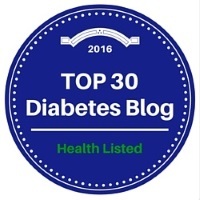 I have found that most of their articles/emails to be downgrading to the diabetes community, rather then giving us hope for a better life & a cure. I have unsubscribed JDCA’s email list. I write blog posts, I strongly support JDRF by doing two walks per year, and have PROUDLY raised about $75,000 for JDRF with my team Calla’s Crusaders since we started walking in 2001. The burden of type 1 diabetes (T1D) just got a little lighter because of JDRF. In September of this year, the FDA announced approval of the Medtronic MiniMed 670G hybrid closed-loop system. This is the first device approved to automate the dosing of insulin so that people can spend less time worrying about T1D and more time enjoying their lives. JDRF has become a big part of my life, and if it wasn’t for their research, we wouldn’t have new devices, or an FDA approved artificial pancreas, to make our lives and diabetes so much easier to manage. Of course JDRF supporters walk to find a cure, but I feel safe in saying that everyone who does participate or donates to my team understands that not 100% of their donation money goes directly to funding to finding a cure. Walk venues are expensive. T-shirts (that they hand out for free) are expensive. The food, water and other drinks in which they provide (again, for free) is expensive… and that is only for a one-day event! My team will be walking this Sunday for the 2016 JDRF Walk to Cure Diabetes. Understanding both sides of the story, I hope you would consider making a donation on my behalf by clicking here to continue their efforts in finding us a cure!